In this page of Chinese food culture, I introduce some food tradition we have for different Chinese festivals. 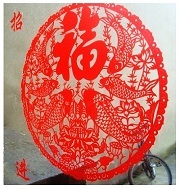 For example, what are the tradition for Chinese New Year celebration, and what are the typical Chinese new year dishes. In China we also have other famous festival like Duanwu Festival, also know as the Dragon Boat Festival, which is also introduced in this section. There will be more to come. I have planned to write somethings for Middle Autumn Festival (Moon Festival) in the future. 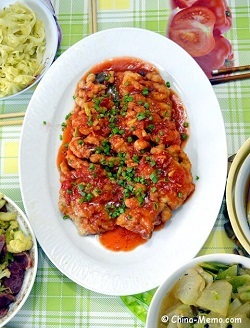 Whether Chinese celebrate the Christmas and are there any special Chinese Food for festivals? 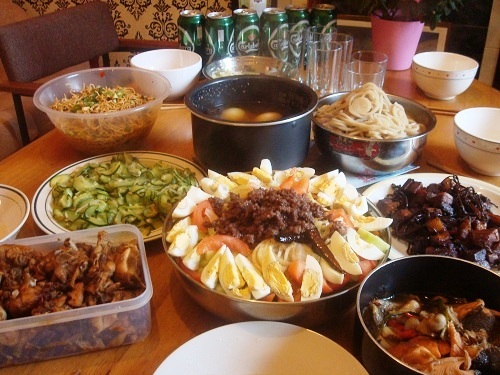 Here I gave some examples of Chinese home cooking dishes when I was invited to another Chinese family during Christmas. 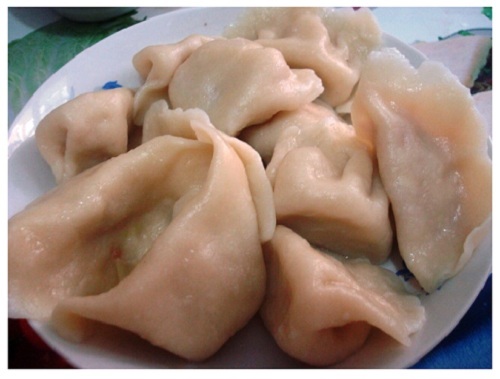 In the northern China, the most important New Year dish is dumplings. In the south, people eat more rice than wheaten food and have rice cake for celebration. In this page I show you how we make dumplings at home (including a video). In the southern China, people eat more rice than the wheaten food. 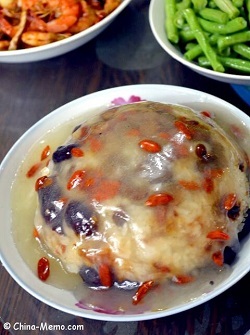 Food like sweet rice balls, rice cake or eight treasure rice pudding is the traditional Chinese New Year food in the south. Here is our family version of eight treasure rice pudding, or Chinese Sticky Rice Pudding, a popular Chinese sweet treat popular for the festival time. Although nowadays some old traditions may seem have faded in the urban life, there are certain things we still do for today’s Chinese New Year celebration. More about some old traditional New Year decorations, New Year Eve TV show, playing firecrackers and Bai Nian. What are the popular foods during Duanwu Festival in Hunan China, and what is the historical story behind the traditional festival food, Zongzi? 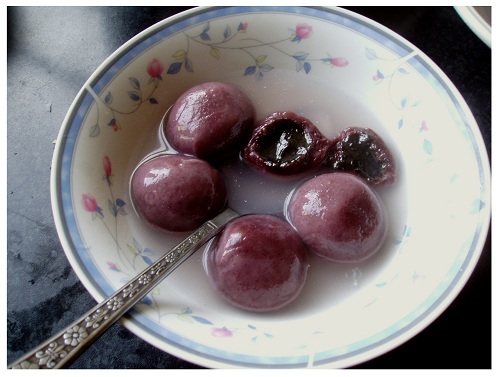 Also I introduced one food many foreigners may hate, the Chinese century eggs. More about our homemade Zongzi, a glutinous rice dumpling wrapped by bamboo leaves. Also more about the salted duck eggs. Including a video of my mum making zongzi at home.